 At OpenSpending, our restless community drives our work and so our volunteers are key to our activities. Today we are welcoming those joining the News Editors’ and Data Wranglers’ teams. Find out more about them and what they stand for in the short bios below. Many have already been at work, and you can follow their involvement on our Trello boards. We will kick-off tonight (lunchtime or breakfast depending on your timezone) with an experiment, a live-blog of the first joint Hangout between the two teams. Tune in at 6pm GMT (or thereabouts). These guys run the blog and manage our social media presence. We are still recruiting News Editor volunteers so if you'd like to join the team apply here. Karen Brzezinska, @westofwarsaw Also a professional journalist, Karen (Kati) worked for international news services specialising in equity, commodity and currency markets. Her background is in PoliSci (East European studies), and, while originally from midwestern US, her life experience lists Italy, Hungary (1989-1992) and The Netherlands (since 1992) as home-countries. Kati is fluent in English (US) and Dutch. A freelance journalist and editor from Orlando (Florida), Maria works for Pearson Education and theDailySource.org. A graduate of the University of Florida’s College of Journalism and Communications as well as the College of Music, Maria’s work focuses primarily on feature writing, editing and music. The Data Wranglers work to add, clean and visualise data in OpenSpending. They help community members who need assistance. Some data wranglers focus on cleaning and analysing data whereas others work to visualise data using the OpenSpending API. We are still recruiting Data Wrangler volunteers so if you'd like to join the team apply here. A PhD student in Journalism and Mass Communication at the University of Westminster, London, Alessandro shares an interest in Data-Driven Journalism. He has previously worked in South America (Brazil and Argentina) for a couple of years for the communication unit of the United Nations, UNPD, as a journalist and documentaries writer. He says it was a landmark experience. Freelance journalist based in the UK, Rochelle is currently working for a B2B pharmaceutical publication. WIth a background in Law she previously worked with the Centre of Investigative Journalism where she first discovered data cleaning.